While developing countries continue to make important gains in accessing new ICTs, the impact of such gains on development agendas and the achievement of the Millennium Development Goals (MDGs) remain to be addressed. The predominant view is that access to ICTs remains the core challenge for developing countries, a view that is also shared in the MDGs themselves as reflected in the content of Target 18 (Goal 8). Fostering access to new technologies is indeed a laudable goal in itself, yet developing economies need at the same time to focus on the traditional and long-standing development gaps that still persist today. Moreover, new ICTs have the potential of providing innovative solutions to existing economic, social and political challenges, which can transform the way development assistance is delivered. The programme countries assessed in this report (Albania, Bangladesh, Bulgaria, Cape Verde and Indonesia) are implementing critical e-governance initiatives that help expand access to basic public services and information, and foster political participation. While many challenges still remain, these programmes have made important inroads in making catalytic use of ICTs to tackle key development national priorities. 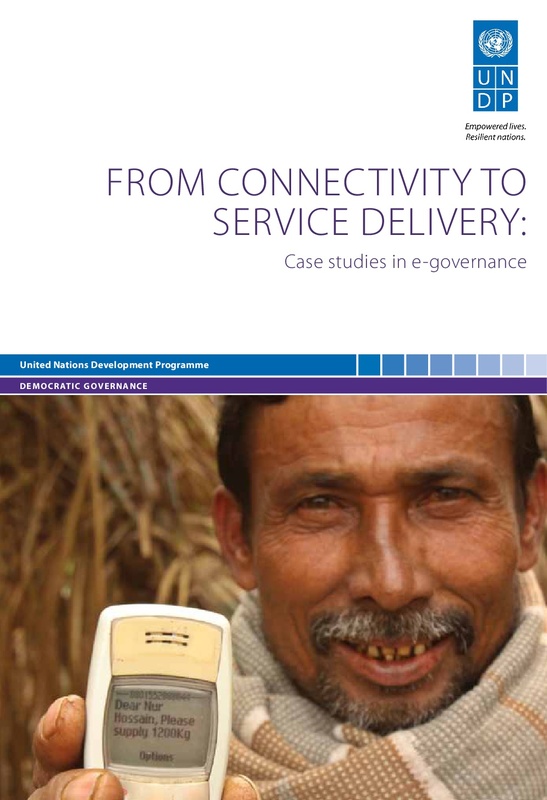 This report provides insight into the role ICTs can play in achieving development goals, distilling lessons learned and good practices for e-governance implementation, while also identifying core challenges. These case studies show how successful programming must be linked to existing national development priorities and targets. They also help us consider what is feasible and necessary for e-governance development in poor and middle-income countries, particularly when there is political will to promote democratic governance. 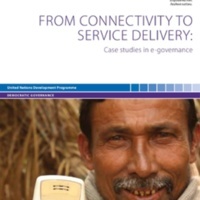 UNDP, “From Connectivity to Service Delivery: Case studies in e-governance,” Curadoria Enap, acesso em 22 de abril de 2019, https://exposicao.enap.gov.br/items/show/325.